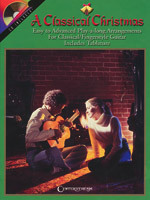 This book/CD pack features easy to advanced play-along arrangements of 23 top holiday tunes for classical/fingerstyle guitar. Includes: Birthday of a King, God Rest Ye, Merry Gentlemen, Good Christian Men, Rejoice, Jingle Bells, Joy to the World, O Holy Night, O Sanctissima, What Child Is This? (Greensleeves), and more. The CD features a demo track for each song. This book/CD pack for intermediate-level players incorporates slide or bottleneck playing in both open and standard tunings. All songs are primarily fingerstyle with a monotone bass used for most. 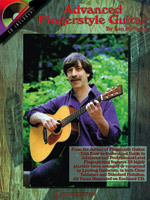 This follow-up to the popular Fingerstyle Guitar book by Ken Perlman is really two books in one. 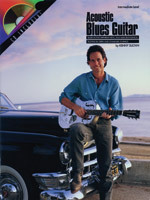 For the advanced player, it's an excellent tune book featuring 33 interesting and highly playable guitar arrangements. For the intermediate player, it serves as a clear and detailed guide to the technical expertise and theoretical knowledge required to bridge the gap to the advanced level. Covers Baroque tuning, DAD-GAD tuning and much more. The tunes are organized according to genre: Alternating Bass Pieces, The Country Blues, Melodic Guitar, Fiddle Tunes, Ragtime and Chord-Melody, with all tunes played on the CD. Glen Caruba is a talented percussionist who has worked with Bruce Springsteen, Sheryl Crow, Don Henley, Bruce Hornsby, Arturo Sandoval, and others. 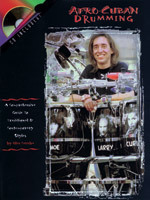 His comprehensive guide to traditional and contemporary styles of Afro-Cuban drumming will start the beginner out right and help professionals come up with new rhythms and ideas in this increasingly popular genre. 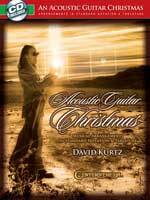 Guitarist David Kurtz shares his personal arrangements of classic Christmas songs, as well as his own original compositions to celebrate the holiday season. These songs are written in both standard notation as well as tablature, so that everyone can enjoy learning, playing and performing them for family and friends! These lush arrangements sound full and intricate, yet are fully accessible to all levels of playing. Grab your acoustic guitar, a cozy spot near the fireplace, and enjoy these sounds of the Christmas season.